The early 2000s witnessed the boom of Digital Marketing, and even today, it has been the reigning deity of marketing driving sales and increasing traffic to small and medium businesses. In the last decade, the internet has completely taken over the field of marketing and the biggest game-changer making a huge impact on all of it is digital marketing. Because now, gone are the days when businesses had to buy leads or rely on cold-calls or the conventional marketing strategies. If you want to stay in the market or gain a competitive edge over your competitor or contemporaries, you need the right digital marketing strategies or techniques that range from Pay-per-click, SEM, SMM, SEO marketing, E-mail marketing, Content Marketing, and more. Are you aware that Digital Marketing or the right kind of digital marketing can improve your business sales, increase leads, traffic, and brand awareness? Some of the time-tested techniques of Digital Marketing like SEM, SMM, and SEO, to name a few are some of the cost-effective marketing strategies that benefit all kinds of businesses whether small, medium, or large-scale. Some of the reliable agencies specialize in digital marketing and other kinds of online promotional techniques that will put your brand everywhere garnering quality traffic that is easy to convert. 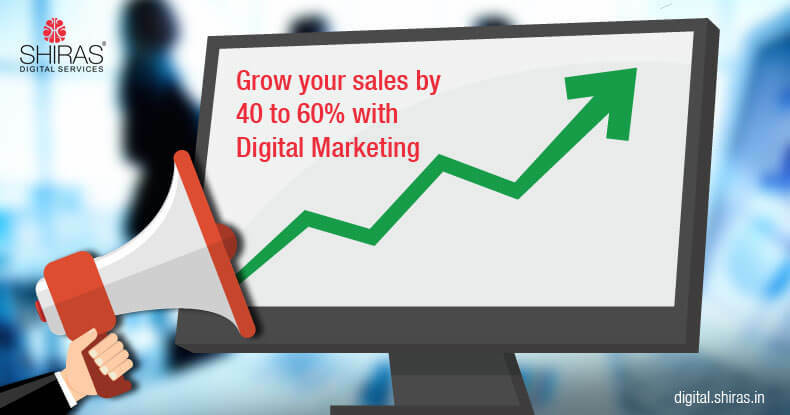 It is the need of the hour for every business as gradually most of the businesses are evolving from brick-and-mortar to going online to buffing up their online presence with digital marketing. Because having an online presence does not matter as long as you implement the right digital marketing techniques delivered by the experts. Though your business received huge amount of traffic as you have self-implemented some of the digital marketing techniques like Social Media Marketing (SMM), these leads will nor sum up to anything unless they are converted into leads, the best digital marketing agencies will help you thrive in today’s digital arena with the rightly tailored digital marketing strategies providing your business the best shot at competition, staying in market, and even growing your business or increasing your sales. Decoding Digital Marketing; and why does your business need it? In a nutshell, digital marketing is the promotion of your business as a brand or promotion of your products using one or more means of digital media. Search Engine Marketing (SEM), Search Engine Optimization (SEO), Social Media Marketing (SMM), Social Media Optimization, Content Marketing, Data-driven Marketing, E-mail Direct Marketing are some of the commonly used advancing digital marketing techniques. Digital marketing aids businesses in reaching more people, thus more customers by making your brand recognizable and broadening the target market of your business. Predominantly, it is vital for brand awareness. As the key to success in the digital world, digital marketing helps in increasing the engagement which is also key to increasing your target audience. With digital marketing, your business can reach people where they get to know about your brand, services, etc. while browsing on their smartphones. Having a website for your business is no longer a choice but a necessity, and even more important is the fact whether it has been optimized or not. Having a website is no longer enough, it needs to be updated and audited for SEO periodically which is rendered by the digital marketing experts. This is because trending keywords and website designing best practices change from time to time and to stay on par with these changes, regularly updating and optimizing your website are very crucial to effective digital marketing. In fact, SEO in itself is a broader domain of digital marketing that uses numerous other digital marketing techniques right from blogs to designing websites. Social Media influences purchasing decisions making SMM a crucial digital media tactic SMM or social media marketing is one of the best digital marketing strategies that influence the purchasing decisions of your target audience. The fact is, 90% of youngsters falling in the brackets of ages 18 to 30 use social media which makes it essential for businesses to promote their brand on the various platforms. This is effectively achieved by SMM and SMO as meagerly posting updates pertaining to your business or posting content on your profile is not enough. It requires you to track the progress made by your posts in terms of quantifying conversions that happened through your posts. The bottom line is, digital marketing tools are many, but the key to successful digital marketing is effectively strategizing the techniques to gain the utmost result of increasing your sales by a huge margin which is possible when you seek the best digital marketing agency for a cut above the rest in the highly competitive digital arena. Shiras Digital Services is a professional Digital Marketing Agency in Bangalore, offering end-to-end services in Digital Marketing, Web development and Creative services.